Bentley Motors, the luxury car brand, has introduced an app that creates a personalised car design, based on the user's passions, lifestyle and personality type. The Bentley Inspirator uses emotion recognition software that creates an individually designed car. It has been created by VML London, which used emotion metric algorithms built using data from 3.4 million faces in more than 75 countries. The software tracks the user’s emotional reactions as they watch a film that sits within the app. The video shows a variety of "lifestyle-themed visual stimuli" such as a surfer riding a wave, a crowd at a music gig and a ballet dancer on stage. The app records the user’s facial expressions in real-time and tailors the narrative of the film. It also makes up a virtual Bentley Bentayga using the data. The rest of the Bentley range will be available on the app over the next few months. Chris Wood, the managing director at VML London, said: "A brand like Bentley must constantly strive to exceed the highest expectations of its customers and prospects. "Therefore, the services and content we produce must be creatively ambitious and flawlessly executed. "The team at VML and Bentley have achieved this with the Inspirator app, and it has set our benchmark for the digital work we will do with the brand moving forward. 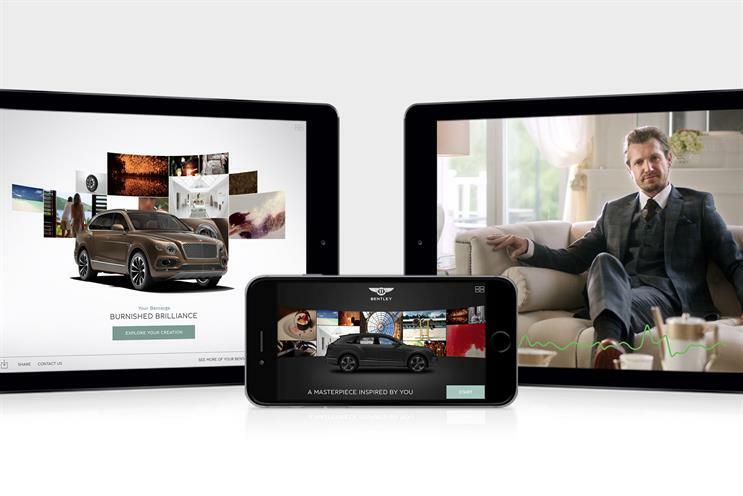 "Each year, with Bentley’s digital team, we will continue to set the standards in digitally driven customer experiences in the luxury category."